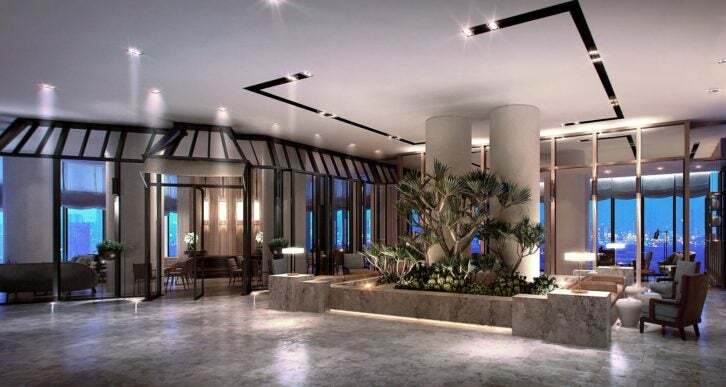 As the latest luxury hotel to open in the Lion City, Andaz Singapore needs to truly excel to stand out among the wealth of exceptional hotels here. With this in mind, the hotel’s creators have conceived a contemporary lifestyle destination that captures Singapore’s cultural identity and urban spirit. Ahead of its December opening, we take a look at what guests can expect. Andre Fu—the architect behind The Upper House in Hong Kong, Singapore’s Fullerton Bay Hotel and the Opus Suite at the Berkley London—and his design studio AFSO have used their expertise in contemporary interior design and interpretation of historical references to encapsulate the vibrant atmosphere of the shop-houses in local areas such as Kampong Glam and Bras Basah Bugis. Within the façade of the modernist Duo development by German architect Ole Scheeren, Fu has translated the style of a traditional shop-house into the design of the contemporary high-ceilinged lobby. 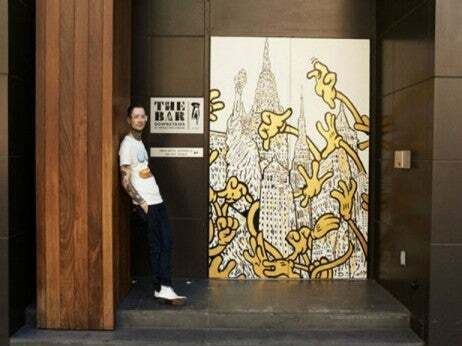 The spirit of the local neighborhood has then been brought into the hub of the hotel, Alley on 25, which features seven distinct shop-house experiences and the modern open courtyard, Andaz in the Square. This is where Aunties Wok & Steam, Smoke & Pepper, Icehaus, Sunroom, The Green Oven, Plancha’Lah! and Bar Square can be found, providing a range of restaurant and bar experiences, from dining on local fare to sipping cocktails with a view of Marina Bay or looking out onto the open terrace and its adjoining swimming pool at Icehaus. The hotel’s guestrooms fit in with this concept too, with design elements from traditional shop-houses integrated into the contemporary interiors. The most impressive space here though is at the top of the skyscraper hotel. The gourmet restaurant 665°F is located on level 38 where the heritage of a traditional tailors shop is conveyed through the use of natural walnut, burgundy lacquer and bronze, while Mr Stork is the name given to the rooftop bar, which is distinguished by its tropical landscape and bronze pavilion. Andaz Singapore will open December 2017. Find out more by going over to singapore.andaz.hyatt.com.